As Nashville welcomes 2018, it’s entering its fifth year in the national spotlight as one of the fastest-growing – and most popular – cities in the nation. It’s a popularity seen in tourism, as well as the number of people choosing to live and work here. Of course, Nashville was on the national radar screen well before 2013, when The New York Times bestowed the Metro region with a label that has already become a cliché – the new “It” city. Although the “It” city adage may be overused – it is – there’s no denying that the surge of construction and investment experienced in the past five years. It escalated in 2017 with the landing of a Major League Soccer team and major construction projects, putting the city in an elite category when it comes to growth and development. Meanwhile, even some of Nashville’s biggest cheerleaders wonder if and when the meteoric growth will slow. None expect a downturn in 2018. “As we look at the horizon into 2018, I think we are positioned in a very favorable place, especially if the economy continues to do well,” says Garrett Harper, vice president of research at Nashville Area Chamber of Commerce. “There are low, and in some cases record low, levels of vacancy in office and industrial spaces, and there’s great strength in our tourism and hospitality market. We’ve seen records levels of construction, and it’s broad-based in both commercial and residential development. “In economic terms, we are at record low levels of unemployment, about 2.3 percent for the region, and even lower than that in several counties,” Harper adds. “This was the year our labor force broke the million mark, according to the Department of Labor statistics. Although Harper is clearly bullish on Nashville’s ability to maintain its status as an economically healthy – and wildly popular – city, he does have concerns. Meeting the demands of the job market require a heightened focus on education, training, and retraining from K-12 to the college level in 2018 and beyond, Harper says. Among the biggest shortages are in jobs related to information technology, advanced manufacturing and tourism and hospitality. Matt Nicholson, manager of business development at Turner Construction Co., says he thought commercial projects would slow down somewhat by the end of 2017 and make way for publicly funded projects such as museums, schools and the like. “The commercial market has slowed, but only slightly, and public projects are strong,” Nicholson notes. “With 80 people a day still moving here, everybody’s confident that the supply on the market will be absorbed and people are talking about residential projects for the next cycle. A large international company with $10 billion in construction projects a year, Turner has had a strong presence in the Nashville market for over 40 years with major clients’ projects including Vanderbilt University Medical Center, Saint Thomas Hospital and Bridgestone Arena. Turner is currently at work on several high-profile projects including the $160 million Tennessee State Museum, which is slated for a 2018 opening; 12th and Broadway, a $100 million 26-story mixed use development at 12th Ave. North and Broadway at the site of the former Nelson Mazda dealership, and the current expansion of Monroe Carell Jr. Children’s Hospital at Vanderbilt University. Both Harper and Nicholson see the demand for an enhanced mass transit system in Metro Nashville as the foremost issue to be addressed in 2018. Nicholson agrees and adds the region’s ability to attract job seekers could hang in the balance without a long-term solution to Nashville’s ever-growing traffic problems and lack of adequate public transit. Indeed, the issue of mass transit is imminent; Metro Nashville’s proposed $5.2 billion mass transit investment plan, “Let’s Move Nashville,” is scheduled to be voted on May 1. The comprehensive plan would, if implemented, extend service hours, make transit faster and more efficient, add neighborhood transit centers, expand mobility services for seniors and the disabled and create high-capacity transit options along pikes and corridors. “We want to be a city that is growing because it means more jobs, economic opportunities and amenities,” Mayor Megan Barry says. “But growth without good planning means gridlock. We need better transportation alternatives to protect our quality of life and make it easier to get around. Chad Grout, founder and principal of Nashville-based Urban Grout Commercial Real Estate, predicts a domino effect type of growth in the region in 2018. “I believe the growth will continue to ripple out from the core of the city,” Grout explains. “It’s a phenomenon that means every other neighborhood is growing as a result. We’re seeing growth in Nashville in every neighborhood within a 5- to 10-mile radius of town, and we’re hearing about some level of growth in every part of the Nashville statistical area. It’s no surprise commercial real estate professionals such as Grout see opportunity and have a sunny outlook when it comes to Nashville’s future economic growth. But rapid growth can also come with new sets of problems – from the loss of traditional neighborhoods and affordable housing to the aforementioned lack of an adequate workforce. “A city can grow too fast, and growing too fast is not the same as adding a lot of new people in a short amount of time,” says national planning expert David Reiss, academic program director at The Center for Urban Business Entrepreneurship in Brooklyn, New York. “Rather, it is adding more people than a city’s infrastructure can handle. “This can play out in many ways. NYC’s transit system has seen an incredible growth in ridership in the last few years, and that is leading to a cycle of delays as more people pack in to the same system, slowing down trains at each stop, with a domino effect down the line,” Reiss adds. Albert Goldson, executive director of Indo-Brazilian Associates, offers a sobering perspective on fast urban growth and a warning of what can happen when rapid growth goes awry. Goldson’s global advisory firm and think tank provides entrepreneurs, start-ups and executives with tools to make sound business decisions, including urban investments. “Real-estate development often forces square pegs into round holes even with the best of demographic projections,” Goldson points out. Goldson is surprisingly frank about the potential dark side of rapid growth. “Strong urban growth leads to the creation of new housing but (it can erode) a sense of community because it serves mostly newcomers many of whom will be transient residents,” he adds. Nashville doesn’t seem to be at risk for becoming a “ghost city” anytime soon, and there are certainly multiple positive effects abounding from the growth spurt of the past five years. But we aren’t immune from problems exacerbated by growth. One glaring example: the city’s lack of affordable housing, which is widely documented and seen by many as worsened by Nashville’s frenzy of high-end developments. 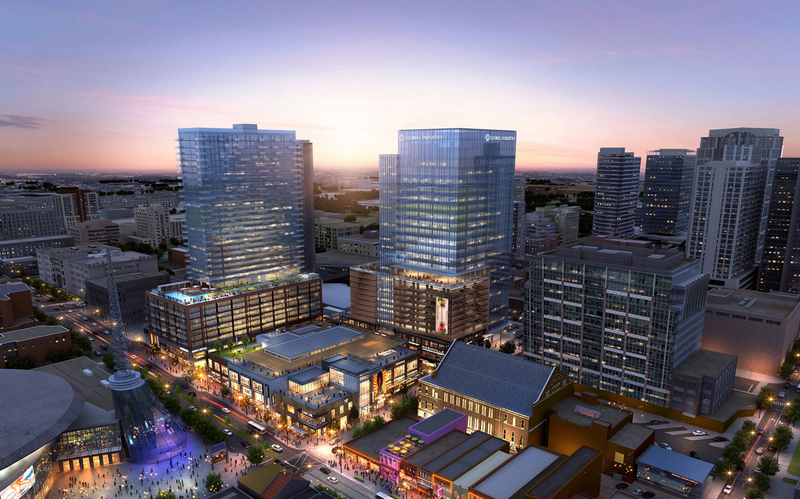 5th and Broadway in downtown Nashville has already begun the transformation into this multi-use complex. The project will include a 385,000-square-foot Class-A office tower; 235,000 square feet of entertainment, retail and cultural space, including the National Museum of African-American Music, a 350-unit residential tower and a 2,400-vehicle parking garage in three separate structures. Expect more activism to surround the affordable housing issue in 2018, and it likely won’t just be coming from grassroots advocates. Richard Courtney, real estate columnist for The Ledger and broker at Christianson, Patterson, Courtney & Associates, notes more developers and builders will be trying to meet the market need for affordable housing stock in 2018. “I hope some of it (new housing construction) will be affordable,” he acknowledges. “There’s demand for the affordable housing component so the market needs to respond. “There are several people looking into [building affordable housing] on Trinity Lane near Summit Hospital on Dickerson Road,” Courtney adds. “I think we will see places that a developer would never set foot upon years ago – areas that were stigmatized, now turning into hot spots. As long as you can create good housing and product, people won’t care what it used to be. Courtney predicts that some of Nashville’s numerous new apartment buildings will convert to condos in 2018. Courtney is also high on Woodbine – bordered by I-440 to the north, Nolensville Road to the west, I-24 to the east and Thompson Lane to the south – as an area where affordable housing is still attainable. “In the next few years I think Woodbine is going to go crazy because there is still a good pocket of affordability, and there’s a lot of opportunities for flippers there, too,” he says. 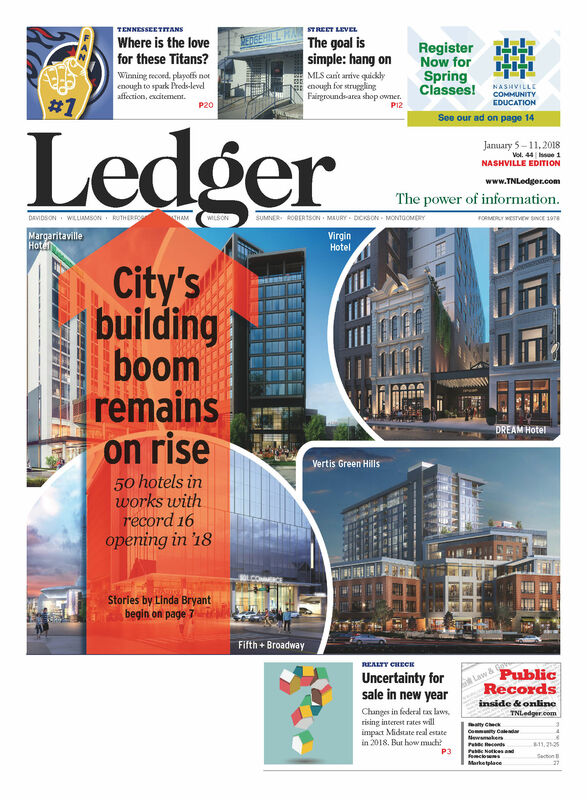 Meanwhile, in 2017 Nashville saw its greatest ever year in terms of tall buildings completed, projects under construction, announcements for upcoming developments and growth in the tourism, hospitality and restaurant industry. 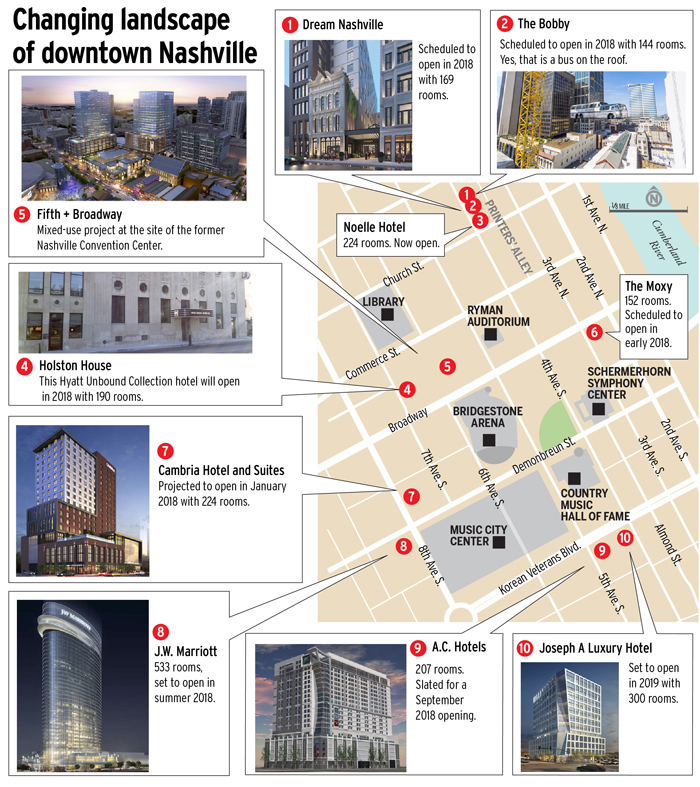 2018 will see many high-profile projects currently under construction, such as the boutique hotel, The Bobby at 230 Fourth Ave. N., the 19-story Vertis Green Hills mixed-use development, and the $250 million, 533-room JW Marriott hotel at the corner of Eighth and Demonbreun in Sobro. Expect the next two years to feature a dizzying amount of new hotel openings. The 1922 L&L Restaurant Equipment warehouse located at 3814 Charlotte Ave in Nashville is undergoing a major renovation. The Nashville section of website urbanplanet.org, which tracks the city’s largest developments religiously, shows there are more than 50 hotel projects either under construction or planned. Randy Rayburn, a veteran of Nashville’s restaurant industry and known for iconic eateries Midtown Cafe and Cabana, sees healthy – if not historic – growth in the region’s restaurant scene, from independent as well as corporate-owned chain restaurants. “I’d call the growth in the hospitality industry here ongoing and never-ending,” Rayburn explains. “Nashville has been growing health permit wise at a rate of 5-6 percent a year annually which translates into job growth. I don’t see it slowing down. Rayburn predicts that restaurant professionals will begin to tackle the shortage in “more creative and dynamic ways” in 2018. “The goal is to train people for jobs and help them see that these jobs can be careers, not just hamburger flipping,” Rayburn adds. Rayburn says he believes the restaurant industry in Nashville is sustainable, but competitive nonetheless. And that means there will continue to be winners and losers. “One of the things that helps us is we have about 14 million guests and visitors every year who join the people who live here [to make a strong customer base],” he explains. “I don’t think restaurant growth and expansion will slow down until there’s a tipping point downwards in the Nashville economy. “That said, owners have to compete,” he adds. 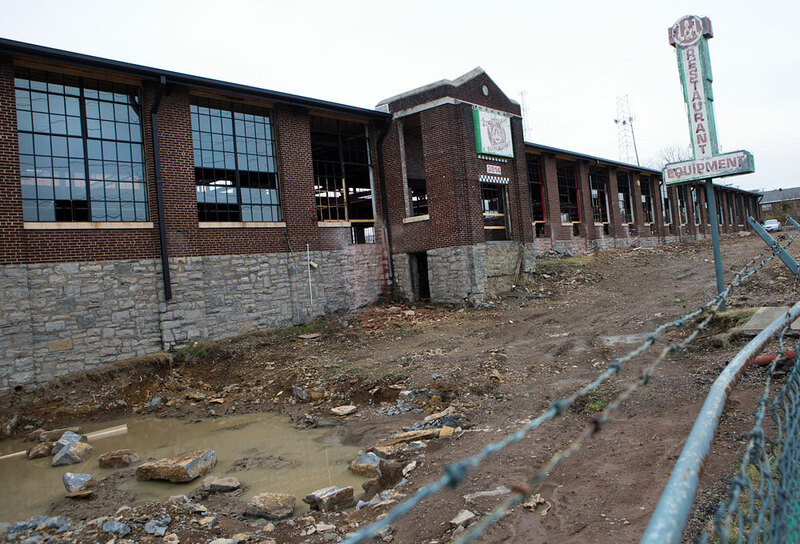 Tamay Ozari is in the process of redeveloping this old equipment warehouse he owns on Charlotte Ave.
Rayburn, who is also a member of Nashville Originals, a non-profit restaurant association comprised of locally and independently-owned restaurants, sees the city’s restaurateurs as boots-on-the-ground activists in solving some of the city’s problems and contributing to its overall livelihood. One example: Rayburn and others from the restaurant community are working to find effective ways to recycle all the beer bottles generated from downtown festivals and events. “Just imagine the massive number of beer bottles generated during the Country Music Festival alone,” he adds, with a laugh. If neighborhoods are under threat from the city’s explosive growth, Rayburn sees independently-owned restaurants as part of the solution. Local businessman-turned-developer Tamay Ozari, is working on a development scheduled to open in 2018 that illustrates Rayburn’s example of the growing trend of locally-owned restaurants. Ozari is in the process of completing a $6 million renovation of the old L&L Restaurant Equipment warehouse at 3814 Charlotte Pike near the neighborhoods of Sylvan Park and The Nations at 3814 Charlotte Pike. The circa-1922 structure housed Ozari’s restaurant equipment business for two decades, but a couple of years ago, he decided to act on a long-held dream to convert it to an adaptive reuse project with boutiques, several locally-sourced restaurants, a brewery, coffeehouse, flower shop and various other stores and offices. Originally built as a hosiery factory, the building has 55,000 square feet of open space and distinctive features such as original brick, a three-story chimney and hundreds of glass windows. Unlike many current local projects being financed by outside investors from cityies such as Chicago, Philadelphia, San Francisco and Austin, Ozari’s project is financed locally by Wilson Bank & Trust. Dowdle Construction Group, also locally based, will be the general contractor. 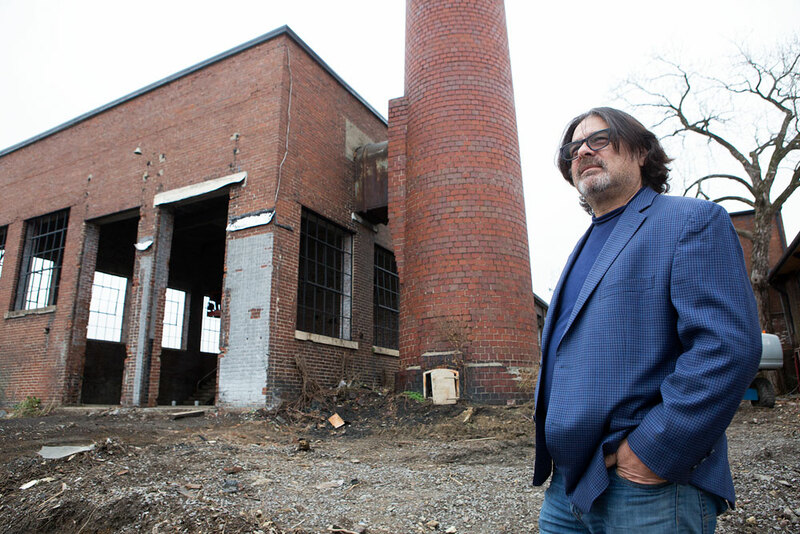 Ozari, a native of Turkey who came to Nashville as a student with $300 in his pocket and settled here permanently after attending Belmont University, approves of the Nashville’s growth, but is saddened by historic buildings being torn down. The project, which was originally marketed as Factory Marketplace, is now tentatively going by the name Nashville Marketplace.